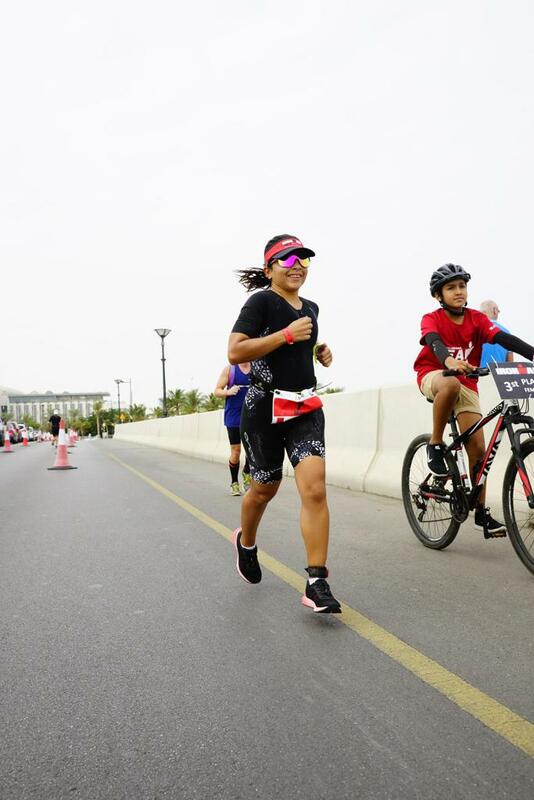 May Al Haji, the first Bahraini woman to complete the 2018 Boston Marathon and the first female member of the Zain Racing Team, participating in major competitions such as Ironman 70.3 and triathlons. 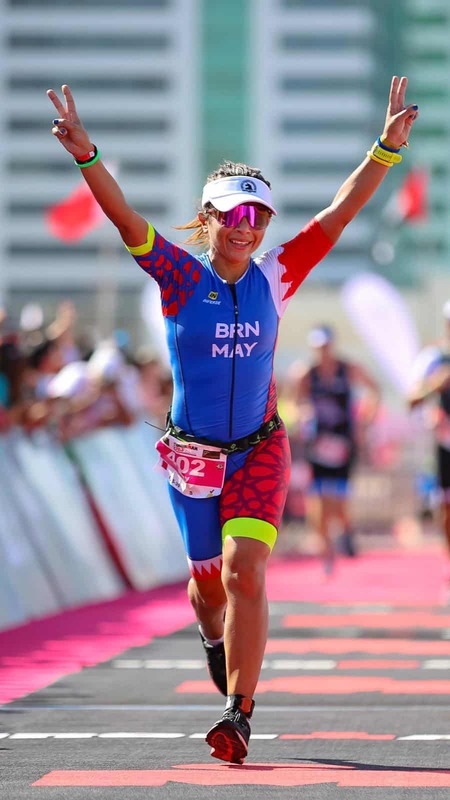 She took up running in 2012 and ran her first full marathon in 2014 and her talent for endurance events led to her becoming the first Middle Eastern woman at Challenge Half Iron Distance 2014, and the first Bahraini woman across the line at Ironman 70.3 Bahrain 2015. 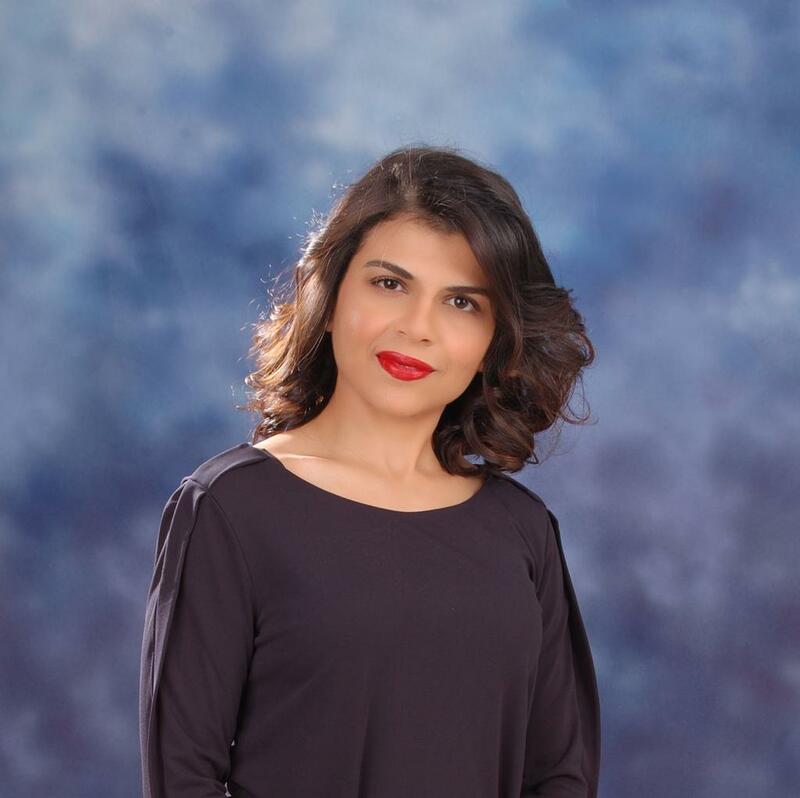 A Marketing Specialist at Zain Bahrain’s premium Zain Signature department, she also has served as a Board Member of the Bahrain Road Runners since 2012 and was appointed General Secretary of the Bahrain Triathlon Association in 2013. She is a seasoned athlete who has been playing tennis since she was 12 years old. May Al Haji shares her race so far with Bahrain This Week. You are the first Bahraini woman to complete the Boston Marathon. How do you feel about it? It is very hard to describe the feeling, but it was epic to represent Bahrain in Boston Marathon. How and when did you start to prepare for the marathon? I ran my first marathon in 2014, just 6 months after having my second baby and it took me a good 3 months of training. However, now that I am performance driven I go into the off season and in season training plan with the main in season plan divided into micro and macro cycles with A and B races in the year. What are the other notable achievements that you have had so far? 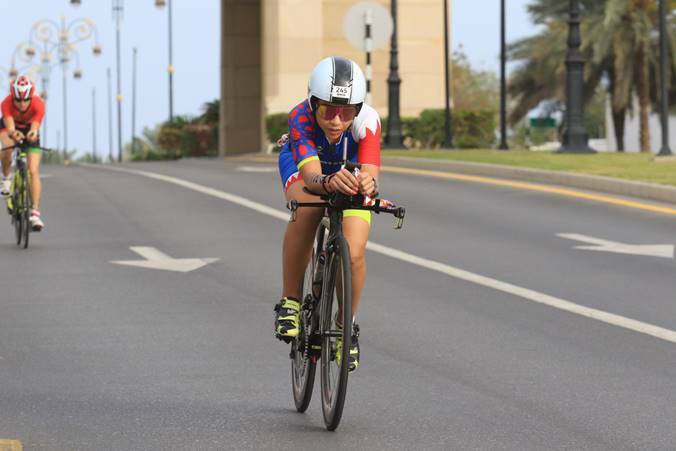 Qualifying to the Ironman 70.3 world championship in 2016 and 2019 are the highlights of my sporting career, in addition to winning the Bahraini women category Challenge Bahrain 2014, Ironman 70.3 Bahrain 2015 and GCC women category in Ironman 70.3 Dubai & Oman in 2019. How does Zain Bahrain support you? I am blessed to be working in a company where their support is extended beyond career growth. At the moment, I am getting sport leave with financial support for my big races planned for 2019. What’s your view on the empowerment of female athletes in the Kingdom? I can see it in sports as more women are empowered and encouraged to take part in a lot of sporting events across the Kingdom. What’s the fitness regime that you adhere to? I train week in week out for my races and my training schedule revolves around my kids and work schedule. Other than Zain Bahrain, Who are your greatest supporters? My family, especially my husband. that I never thought possible. In addition, I am working on signing a deal with Trilife, which is a local bike store whose aim is to support local talents and take the sport to another level in the Kingdom of Bahrain. that I will not be able to perform. Now, I have realized that the more I push, the more I can achieve. So, fingers crossed! Apart from marathons, what do you enjoy the most? Triathlons as I am a triathlete and running or marathons are just part of my training plan to take on my main triathlon races. What’s your advice to the female athletes in the Kingdom? Find the right support system, get a coach and get on a structured program and always remember that you set your own limits so break away and explore by pushing your bodies to limits you never thought possible and always follow a good recovery program to avoid injuries.